Divided into 7 exhibition zones, including flower, fertilizer, greenhouse facility, greenery seedling, garden machine and irrigation device. Site contains its exhibition schedule and fee. An international inorganic chemical industry exhibition held in Shanghai. Site contains its profile, services and a listing of exhibitors. Organized annually by the China National Textile Industry Council showcasing knitting products and manufacturing technology. Site includes program details, fair reviews, exhibitor's and visitor's guides, a listing of exhibitors, press releases and online registration form. An international exhibition held in Wenzhou, Zhejiang. Site contains its floor plan and events schedule. A platform to facilitate the communication and cooperation of domestic and overseas SMEs. Site contains the participation guide, key events, news and review of the Fair. An annual trade fair featuring new product show, software show, inward investment invitation, foreign economic co-operation and more. Site contains fair profile and an overview of Changzhou. A high-level conference focusing on the profound, overall and strategic questions of the steel industry. Site contains its congress info, registration form and fee. Organized by China Iron and Steel Association and China Steel Construction Society. Site contains industry news, project info, floor plan, application procedures and fees. Organized by China National Textile Industry Council and China Council for the Promotion of International Trade. Site contains its news, cost of participation and seminar fee. A professional wine exposition held in Beijing International Convention Center. Site contains its exhibition range, timetable, charges and application form. Exhibits include furniture, woodworking machinery, family textile, semi-finished furniture, raw materials and hardware fittings. Site contains its exhibition info and booth price. A regional world commodity exchange fair. Site contains its news and schedule. Organized by the China National Packaging Corporation and Sino Link Exhibition Co., Ltd, featuring labeling machinery, label anti-counterfeit techniques, label materials, etc. Site contains market data, show report, plus an exhibit list. Organized by the China National Packaging Corporation and Sino Link Exhibition Co., Ltd at the Beijing Exhibition Center, featuring packaging materials, machines, equipment, technology, etc. Site contains market data, show report, and an exhibit list. A Hong Kong company which organizes exhibitions in China and Asia. Site contains its company profile and a directory of exhibition programs. An event organized by the China Shenzhen Machinery Association at the Shenzhen Convention and Exhibition Center. Site contains exhibition and industry news, exhibitor and visitor information, plus visa and hotel information. Held annually in Shunde for home appliances industry. Site contains news, program features and fair reviews, an exhibition guide and online registration forms. Exhibits various garment fabrics and accessories, indoor decorative fabrics, household textiles, textile raw materials. Site contains its exhibition info and floor plan. A meeting place for land traffic specialists, investors and contractors keen to participate in China¡¦s robust land transport sector. Site contains registration details and press releases. An annual gathering that facilitates the integration of industry and capital, and creates a favorable environment for enterprises to improve their financing efficiency. Site contains the Forum's agenda, speaker list, past events info, and an online registration form. It is located in the heart of Beijing's Central Business District. Site contains info about its location, services and facilities, exhibition schedule, and more. A national-level agricultural hi-tech exhibition held yearly at Yangling Demonstration Zone of Agricultural Hi-tech Industries. Site contains the fair news, profile, services, timetable and application method. An annual trade fair showcasing commodities made in Yiwu. Site contains its profile, media releases, reviews for last event, scope of exhibits, listings of exhibitors and registered participants, travel arrangement plus a city guide. Also includes a virtual trade show with a product catalog and trade leads. A place provides comprehensive information about Shanghai that includes the details of international trade mart, expo, global strategic partnerships and multiple value-added services. An annual event in Nanning city to promote economic cooperation between China and ASEAN member states. Site covers its profile, news, a city guide, online application form and travel arrangements. 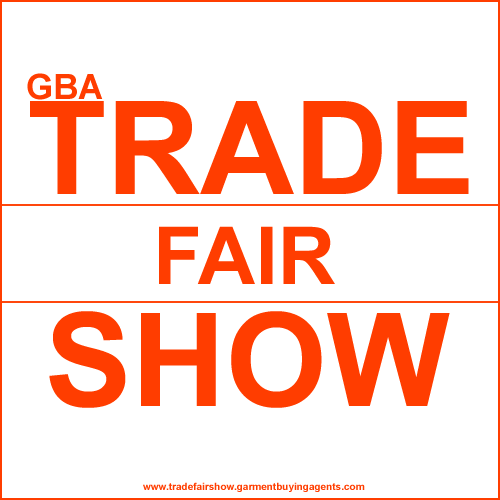 Exhibitors can post trade leads upon registration. An annual event organized in Shanghai for floor covering enterprises, suppliers and investors. Site contains its background, news, exhibitor's manual, conference info and more. A computer software exhibition organized by China Council for the Promotion of International Trade, Chengdu Sub-council. Site contains its exhibition info and conference program schedule. Organized biennially in Spring and Autumn in the CECF Complex of Guangzhou, featuring electronics and electrical appliances, machinery and tools, textiles and garments, raw materials, foodstuffs, medicines, houseware, gifts and more. A non-profit making chamber of commerce and industry with over 3,700 member-companies from various sectors of industry and trade. It is the organizer of the Hong Kong Products Expo. Organized by the China National Electronics I/E Corporation and the Beijing Xinlong Electronics Technology Company at the Beijing Exhibition Center. Site contains show news, an exhibit list, and floor plan. Exhibits urban planning, architecture design, landscape design, decoration design and related technology. Site contains its news and services info. Also offers online registration service. A Hong Kong-based organizer of trade fairs throughout Asia which also provides business info through websites and publications. Site features its profile, an event schedule and links to its publications and B2B sites. Specialized in organizing various kinds of international exhibitions, conferences and symposiums. Site contains its company profile and exhibition schedule. Organized annually in Guangzhou and Chengdu for the vendors, manufacturers and engineers of the communications industry in China. Site includes lists of exhibitors and products, conference schedule, and offers online registration for exhibitors and visitors. An anthropological and design research consultancy firm. It conducts field research for businesses, non-governmental organizations, and government clients. Site contains the details of its conference programs. Jointly organized by the Ministry of Education, Ministry of Science and Technology, Ministry of Personnel, and Chinese Academy of Sciences and Guangzhou Municipal Government. Site contains convention details, policies and procedures, plus an overview on Guangzhou and China. A beauty showcase in the Asia Pacific region organized by Cosmoprof Asia Ltd in Hong Kong, featuring the best merchandise and setting trends of Asia's cosmetics and haircare industries. An annual event organized by CPA Australia in Hong Kong. Site contains a sponsor list, program details, speakers' profile, plus hotel and airline information. Held in Shanghai featuring China's pharmaceutical ingredients businesses. 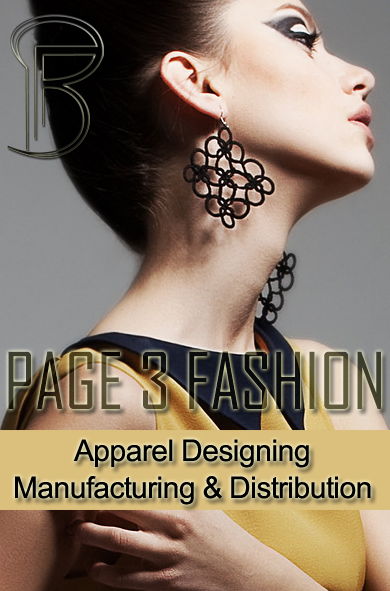 Site includes program highlights, a listing of exhibitors, online registration and press releases. Features famous commodity brands from the Taiwan Straits to promote bilateral trade relationships. Site covers program details, media releases, a listing of participants plus an online registration form. A global online calendar for the latest in international trade shows and business conferences in Asia. From the Asian Connections. An exhibition and conference organiser in Thailand. Site contains direct links to its events. Formerly called the Korea Exhibition Center. Site contains lease info, exhibition schedule, and facilities info. Also includes a section on transportation and parking. This event features an exhibition and summit that addresses topics from the business, socio-economic issues of communications in Asia to latest trends in technologies and business applications. Site contains info for exhibitors and visitors. It specializes in the organisation of conferences and exhibitions in Singapore and Asia Pacific. Site contains an exhibitions and conferences calendar in Singapore. A semi-annual event in the west coast featuring gift and home furnishing industry. Site provides press releases, exhibitor search, online registrations and guides for exhibitors and visitors.